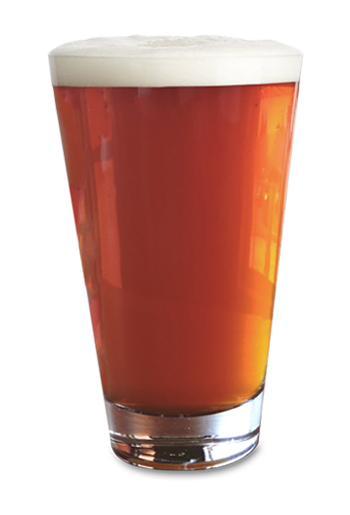 Our Vienna Lager is a great example of this classic beer style. It pours a bright and clear rich copper color with a foamy white head. The aroma is slightly toasty caramel with hints of grassy hops. The taste and mouthfeel present a smooth malt character, almost nutty with hints of cedar and toasted bread. German noble hops lend a fresh, grasslike note that balances but doesn’t override the kilned malts. This is perfectly crisp and easy drinking beer for cooler nights on the North Shore.